This Rosé Sangria recipe with vodka is the perfect easy drink for a party or get together. It comes together with just four ingredients and is totally addictive. If you are looking for other great big batch party drinks try this Tropical Margarita Sangria or this Pina Colada Rum Punch! I’m always looking for different ways to make cocktail party drinks. Some amazing combination of flavors and booze that will be the perfect thing to make for a get together. I want it to make a nice pitcher, I want it to come together fast, and most of all, I want it to be delicious! 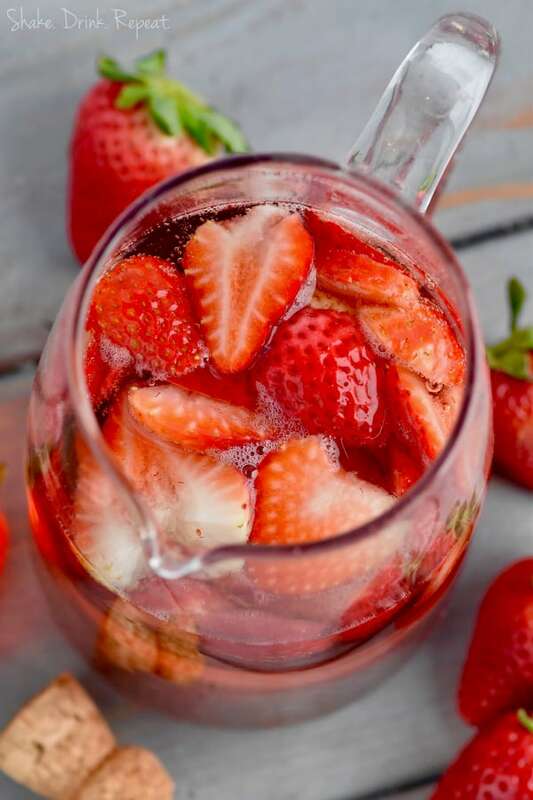 This Strawberry Rosé Sangria Recipe fits all of that! 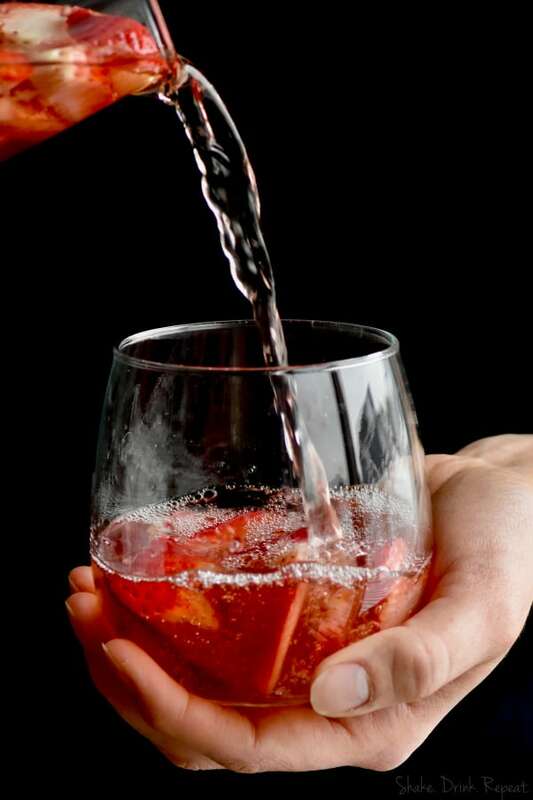 HOW DO YOU MAKE ROSE SANGRIA? 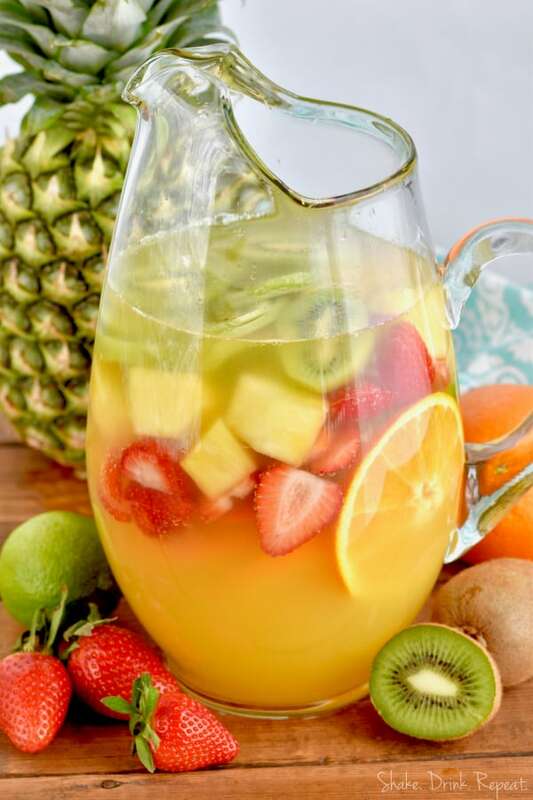 The key to any great sangria is combining wine or champagne with the right liquor and some fruit to get the perfect balance of flavors. 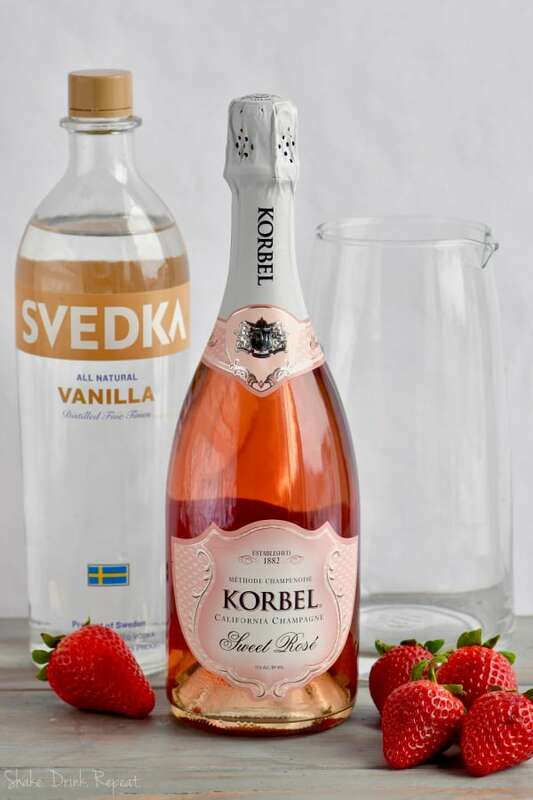 With this sangria, we start with bubbly Sweet Rose Champagne and then add vanilla vodka. The two go perfectly together. You could definitely stop there if you want, but we love the flavor of amaretto so much that we decided to add some amaretto flavored vodka as well. If you have trouble finding that, you could simply add 3/4 cup regular vodka and 1/4 cup amaretto liqueur. 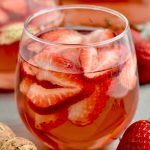 My favorite part about this cocktails is that this Sparkling Rose Sangria comes together in under 5 minutes! It is perfect for a last minute get together, or to bring over to a party. Even better, if you run out, you can quickly make another batch in minutes! 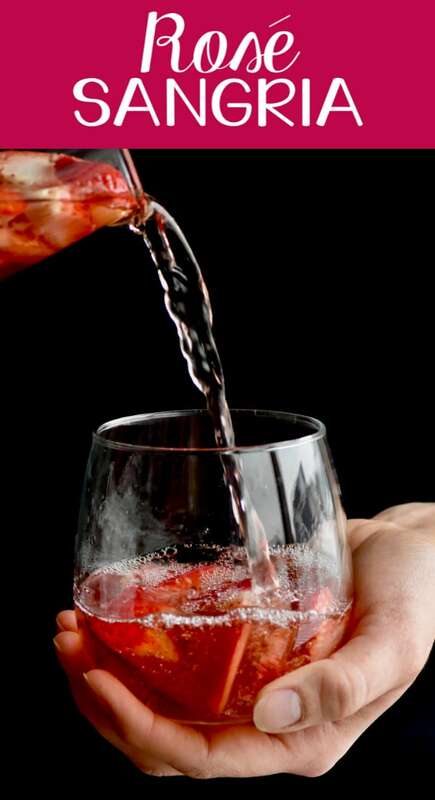 If you want to stretch this drink a little further or make it not quite as strong, you could add in some club soda. 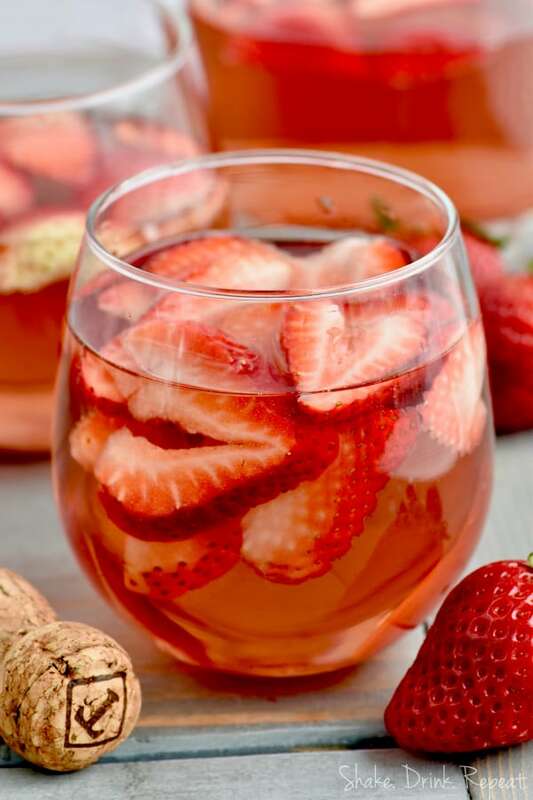 If you wanted to skip the sliced strawberries and go for a slightly classier look, you could serve this in champagne flutes and garnish it with a single strawberry, like in these Strawberry Bellinis. If you are looking for more great drinks to serve to a thirsty crowd . . . . even if that is a crowd of one . . . try this Pink Champagne Margarita! 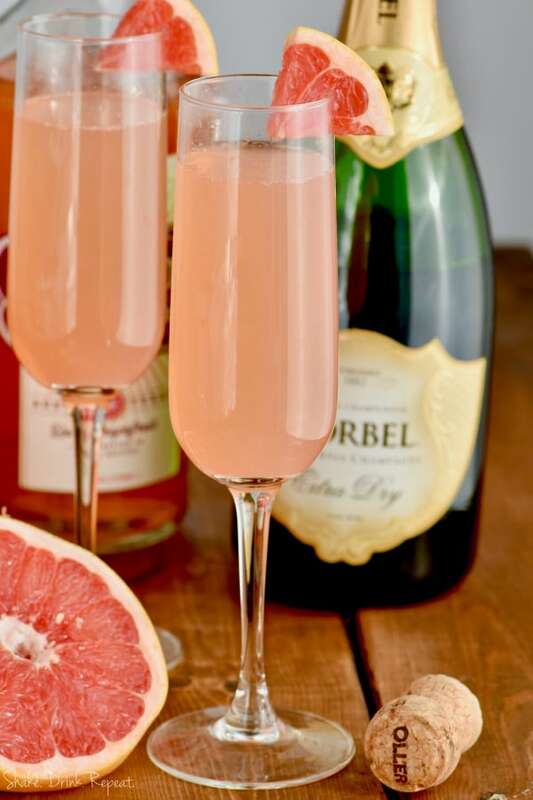 We can’t get over combining tequila and champagne. We love this Frozen Orange Proscecco! I could sip this Pineapple Fruit Cocktail Drink Recipe any time of the year! 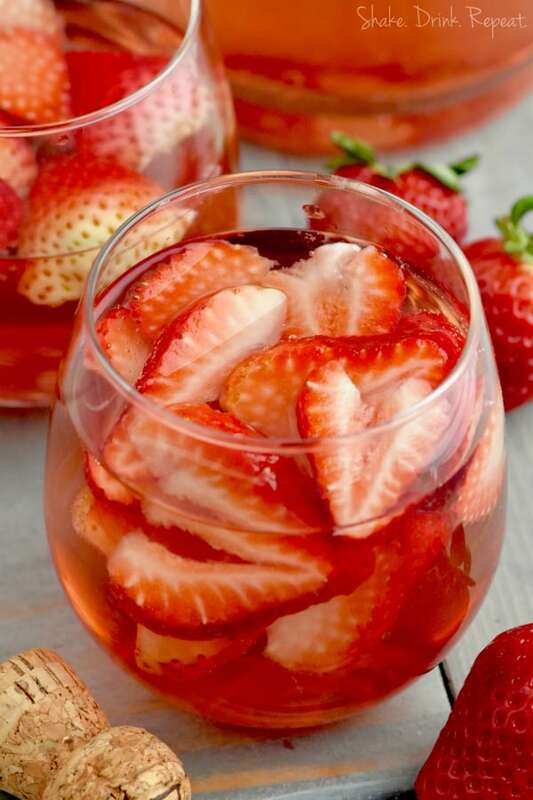 This Rosé Sangria recipe with vodka is the perfect easy drink for a party or get together. Combine all the ingredients in a large pitcher. Serve in glasses and top with club soda to stretch the drink a little further, beyond four drinks. If you have trouble finding amaretto or vanilla vodka you could change the recipe to be 3/4 cup regular vodka and 1/4 cup amaretto liqueur. You are the best, friend. We need to split a pitcher of this ASAP!